Mails about the new trends for a/w 2011-2012 keep coming… But what really caught my attention was Giorgio Armani Collection. Pink shades, black eyeliner and soft lips are the basics of the collection. What else can I ask? You know I love this combination! 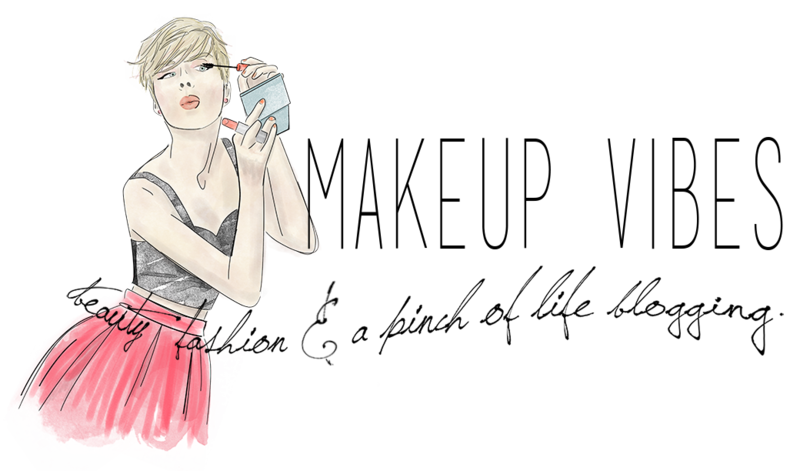 The Giorgio Armani woman is dressed with soft pink make- up because her image suggests a world of dreams and tales of passion. Just like a mysterious sweet fairy. 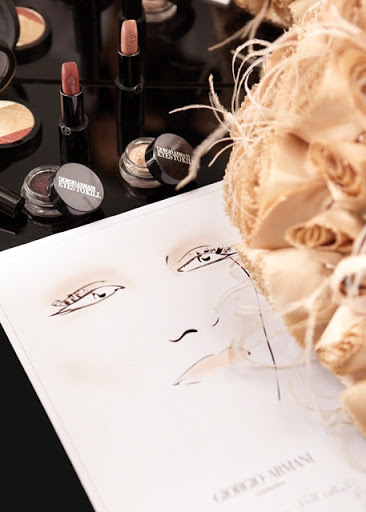 Linda Cantello, Armani’s international Make-up Artist, creates something more that make up…an illusion! Inspired from the Boudoir, she plays with soft pink tones, shadow and light and the results are amazing! She gives us some great tips on how to create the following look. Prepare the skin with Crema Nera and then apply Fluid Master Primer. Then mix the High Precision Retouch and Fluid Sheer and apply on forehead, cheeks and chin. Massage into your skin working from the middle of the face towards the outside. Don’t forget to highlight your cheekbons, temples, nose and chin. Contour: smudge under the cheekbones with the Smooth Silk Eyebrow Pencil number 3 (taupe) and dab with your fingers to fade it away. On the eyes create a shadow between the mobile lid and the arcade as a half circle from outward to inward with Smooth Silk Eyebrow Pencil(taupe). With a flat brush apply Rouge d’ Armani number 100 on mobile lid towards the arcade over the shadow that you created before. Swipe the flesh tone and champagne shade from the Fall 2011 Palette Number 3. Go from the lid to the eyebrows. Then, using a supple smaller brush, apply the same shades under the eyes on the outside and on the inside corners. 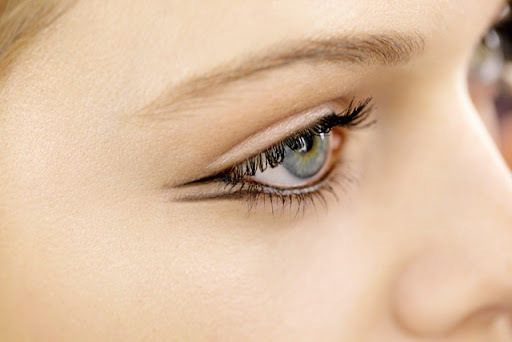 Using a black pencil draw a clean line inside the eyes.With a black eyeliner draw a straight line from the outside corner of the eyes outward. Create a second straight line starting from the bottom line of the eyes. The two eyeliner lines should be parallel. Complete with Eyes to Kill Excess Mascara Number 1(black) to top lashes only! 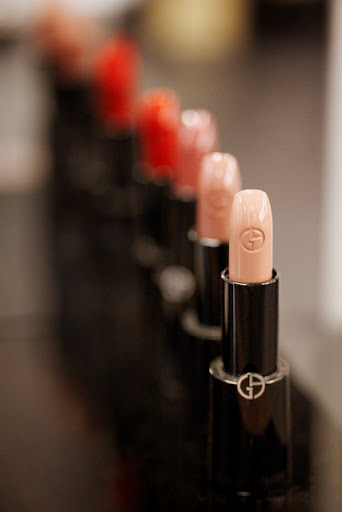 Mix Rouge D’ Armani Beige 108 and Pink 525 from the Fall Collection 2011. Apply and you are ready!!! For a perfect finish powder the T-zone lightly with a large brush using the Luminous Silk Powder Number 2. In Greece, you can find Armani beauty products at Hondos Center(Kolonaki, Glyfada, Kifisia, Pulaia Thessalonikis) and Attika the Department Store. 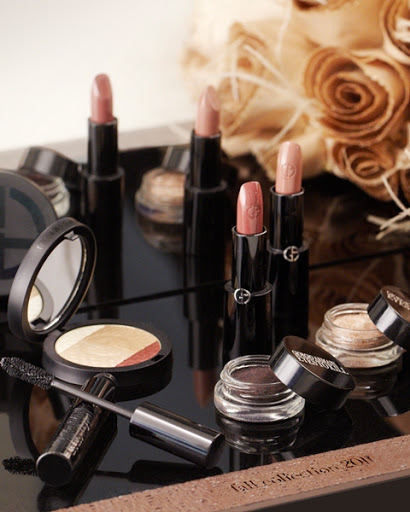 Everyone else outside Greece, please visit http://www.giorgioarmanibeauty-usa.com/ and find your nearest shop! « Coming Soon: NEW TAG and AWARD! What a lovely, fairy collection!